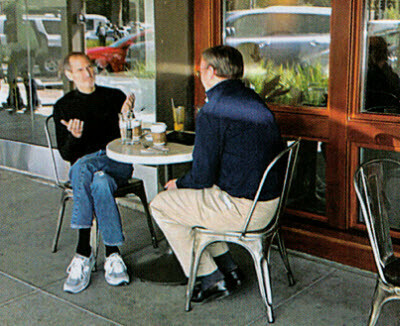 Monday will bring one (of likely many) biographies on Steve Jobs. This one by Walter Isaacson includes the story of the falling out between Steve Jobs and Eric Schmidt. The story has been leaked to the New York Times and Associated Press (likely to stir up free advertising for said book,) and it's a pretty interesting one. Of course, Eric Schmidt was on the board at Apple from 2006 to 2009, while also acting as CEO of Google. The two companies eventually started competing with each other through iOS and Android, so Schmidt left Apple's board. When Steve Jobs saw Google release Android, he apparently felt it was a great betrayal, and told Isaacson that he felt Android was a "stolen product." Jobs was especially angered with a January 2010 Android device by HTC, which Jobs felt had many of the features of iOS including multitouch. I don’t want your money. If you offer me $5 billion, I won’t want it. I’ve got plenty of money. I want you to stop using our ideas in Android, that’s all I want. Thermonuclear war seems quite extreme, especially given that as far as Jobs was concerned Apple had never stolen an idea from any other company ever. Still, it does give insight into the rash of lawsuits between Apple and Android handset makers. 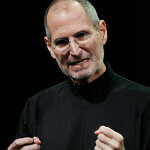 It will be interesting to see if Jobs' vendetta against Android continues now that he has passed. Stories like these are tough, but even though Steve was a genius, he did have a darker side and had a hand in some terrible things the least of which is this vendetta. U Mirn bro, come at me Bro. Michael, I question some of what you have here. How can you claim that Jobs thought Apple never stole any idea? Wasn't Jobs known for regurgitating the 'great artists steal' quote? And you say Jobs had a hand in some terrible things, the least of which was this vendetta. Maybe I'm reading that wrong, or the wording is slightly off, but would be the worst of things he had his hand in? I'm not a blind Jobs follower, but it seems you imply that he had a tremendous dark side with your last sentence. Or is that what you meant? Note that he said "as far as Jobs was concerned", and look up "irony" in the dictionary. youre right. i didnt pick up on the ironic tone at first (was first thing in the morning). i also read some of michael's comments down the list here and saw his explanation of this stuff. i still think these two view points are a bit skewed though. your post was SO helpful and well thought out that i decided to thumb you...down. Of course none of this biography is going to be 100% accurate. like people said, he needs to make money and what dead guy is going to argue with him? What if Palm asked Steve, "I just want you to stop using our ideas in your phone and claiming them as your own!" I don't see how it is because of apple. I have been with android since the beginning and there was never anything that looked like iOS did. For the record, I also know that before the iPhone android looked like blackberry but who knows, the project was bought up by google so who knows when they changed it. It's true, it's all thanks to Apple. They can't innovate anymore, lost Samsung as a supplier, and have resorted to suing their competition over baseless patents. Thank you Apple! Lost samsung as a supplier? im sorry but do you NOT read the news on here stating that Apple is STILL their largest customer and were in fact negotiating contracts and extensions? like what.. please explain! because what did the mac directly copy? if i remeber righ the apple 2 was the first graphical interface computer… oh right what did the ipod directly copy… oh right what did the orig. iphone directly copy… oh right what did the ipad directly copy… and just to show u, if he copied all these things, where was the succesful product beforehand that was so great he just had to copy it? I rely on apple computers everyday for my job, and have for the past 13 years. Innovation and perpetual genius continuum! Stability! Performance! And it just so happens that the iphone is a sweet truffle on the side. Yessir. ever hear of Xerox? you realize that Apple pays Nokia a fat amount of its profits per device and a huge lump settlement for all the nokia patent infringements it had. Apple is a notorious thief. But then, so is everyone else. hmm...if all of those are copied..then what happened to the originals..??? and why only apple products are widely accepted and not others..n why they always create new phase and standard in the industry?? yes thats what exactly Google did, copied ideas..
thats exactly what google did, no intelligence so copied ideas..
You can't say that one copied the other and not agree that if one did, then they both took from each other. It's a complete idiot statement to even attempt to "protect" an operating system. Ideas come from somewhere, sometimes they are original, and sometimes not. Get over yourselves. my apologies if my statement came across the wrong way. Didn't mean to piss anyone off. im just saying Apple is pissed cause Android is a threat. @revail. Steve was pissed because Google stole a lot of Apple's ideas. Why else would Apple felt betrayed by Eric? Your mentality is twisted. Producing and selling your own cellphone is not stealing. Copying how others made their cellphones, is stealing.